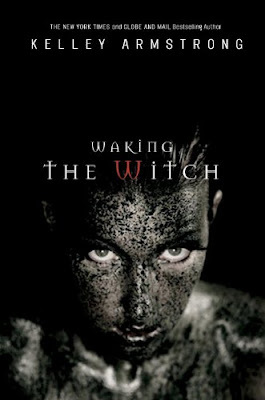 Kelley Armstrong advises today that the US publisher has changed the cover for the forthcoming Waking the Witch (a Savannah story - Book 11 in the Otherworld series - August). You know what comes next - which do you prefer? I've also thrown in the Canadian/UK cover. 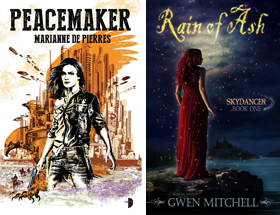 Also below covers for the Canadian reissue of Haunted and Industrial Magic and the paperback cover for Men of the Otherworld. Love the new US issue, colors are great. The CDN/UK cover is creepy. I like the CDN/US reissues, they are really nice, artistic. I like the old US one more. I've only read the first two books in the series and will eventually get the other books with the CDN covers. I prefer the US covers, especially the older one. I really hate the new Canadian covers, they are too much of a rip off the Twilight covers. I'm glad I got all my Women of the Otherworld books before the reissues. I'm not sure if Chapters/Indigo carries the original covers or not, anyone know? I love the new Canadian covers, chapters was selling them for 9.99 this weekend, not sure if they still are. Cheryl, chapters will sell whatever they have left but won't get the old covers in after they run out. I like the new US cover better than the old one, but I still prefer the design of the Canadian/UK covers. Cheryl, afaik, those covers are for the reissued trade pb format books, not for the mass market pb, which should still be available. I like the new US cover. I really don't like the Canadian covers at all. Elie I think both US covers are strong but I do prefer the colours of the new one. The Canadian covers catch the eye but ultimately I don't find them very interesting. Jenny it's nice that there is lots of choice. LOL lots of differing opinions means of course that it the rare cover design that appeals to everyone. I like the color scheme of the new US, but I liked the shot of a motorcycle. 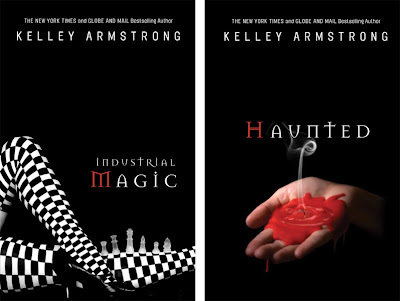 And I love the Canadian covers-Industrial Magic is striking. But the Canadian cover for WtW is creepy...her eyes kind of freak me. 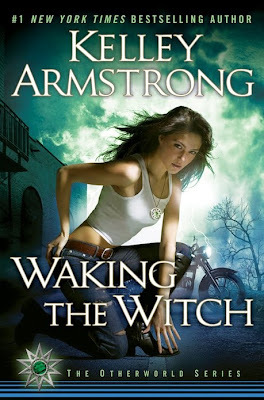 Cdn/UK Cover for Waking the Witch scares me! I love the Cdn Reissues for Industrial Magic and Haunted. I like both of the US covers. The new feels more PR, it doesn't match the other books. I am a Kelly Armstrong fan. Having said that, I found this story to be sadly lacking. It is basically a mystery, but not a good one. It throws out a lot of red herrings but never gives the reader enough information to figure out what is really happening.